I just read a really good book, y'all — The Invasive Species by Frankie Bow. Let me tell you a little about it. The Invasive Species is Book #4 in the Professor Molly Mysteries, following Book #3, The Black Thumb (reviewed here); Book #2, The Cursed Canoe; Book #1, The Musubi Murder (reviewed here); and Book #0, The Case of the Defunct Adjunct (reviewed here). The Invasive Species can be read as a standalone. A reader new to the series would have no trouble following the mystery. However, you would miss out on so much backstory. 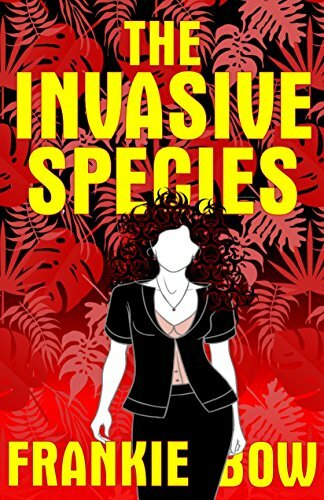 Author Frankie Bow's wonderful characters in The Invasive Species have been changing during this and her previous four books in the series. Each character's relationships to the others are evolving. You would be doing yourself such a disservice, by not reading all of the Professor Molly Mysteries (in order, of course, so you won't read anything spoiler-y about an earlier book). 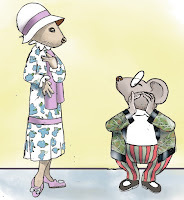 I'm always glad to get new Professor Molly Mysteries, because they are such delights to read. The Invasive Species is no exception. 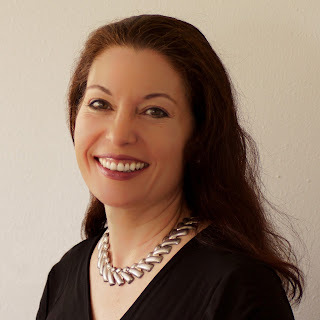 I love Professor Molly Barda, as Author Frankie Bow has so affectionately and carefully created her. Molly is funny, snarky, sarcastic even, and rather quirky. She's not much of a homemaker, even though she is a newlywed in The Invasive Species. She uses her oven as a shoe-storage cubbyhole, because she does not cook. (Luckily, new hubby Donnie does.) She's turned her guest room into a crammed-full storage room — full of boxes she's never unpacked after moving to Hawaii, and a closet full of "skinny" clothes she can't wear — leaving not "enough room in there for an entire person," even though her new step-son needs a place to sleep for a few nights. Mostly, she's lived alone just long enough so that she is having a tough time adjusting to not-alone-ness. Molly has a small house that really suits her, and Donnie has a showcase home with art, collectibles, antiques, and a gourmet kitchen that really suits him. Molly isn't comfortable living at Donnie's house; she just likes to visit. Donnie likes Molly's house okay, but it's just too small for more than one person, with only one bathroom. Shouldn't a newlywed couple be living together, instead of still living in their bachelor and bachelorette pads? Author Frankie Bow finds a solution for this dilemma at the end of The Invasive Species that is satisfactory for all concerned — Molly and Donnie (and the reader! I enjoyed the way everything was resolved). Unfortunately, fewer than half my students had done the assignment. Well, as Emma liked to say, "You can lead your students to water, but then you have to restrain yourself from holding their heads under the surface until they stop struggling." • "May I say something?" Victor and Marshall exchanged a look. I looked from Marshall to Victor, and back to Marshall. "So I really [spoiler]." "For all intensive purposes, yes," Victor said. "It's touch base. Not touch bases. The expression is touch base. It's from baseball. You can only touch one base at a time." "But it's two people," Victor said. "That's why you say touching bases." "No, I think she's right," Marshall said. "And It's all intents and purposes, not all intensive purposes." "Thank you, Molly." Marshall looked weary. "I see your English background will be very useful for all of us...."
• [Emma and Molly] "How long have you been married now?" Emma snorted. "You're still living in your own separate houses?" "Separate houses are the key to marital peace." "I bet that's not what Donnie thinks." • [Molly and Emma] "What a morning. And now I get to teach for three solid hours." "Seriously?" Emma said. "What idiot gave you that schedule?" "Well, I'm the interim department chair. So apparently I'm the idiot." • [Molly and Crystal Phoenix] "So," I ventured, "what's new with you?" "Oh, life is totally amazing right now. I'm going through a major change." "Really?" I was genuinely surprised. I doubted Crystal was even thirty. She rolled up her mat and slid it into its canvas carrier. "I've cleaned up some important issues, you know, and I think I'm ready for the Universe to send me a soulmate. Someone who can share my path." "Ah." So she wasn't talking about menopause. • [Emma and Molly] "...Anyways, you gotta get out of that thing." She rapped my hard shell with her knuckles. "People are gonna think you're making fun." "How was I supposed to know this wasn't a costume event?" "This is the chancellor's house. Does this look like the kinda place you wear a giant bug outfit?" The final mini-excerpt is entertaining and educational. • "I told Marshall I had to meet the giant Palmetto bug," Miss Dorothy Pfaff cackled. "Love your costume, Hon." She reached up to pluck at one of my antennae. "Are you related to Mary Pfaff?" Emma asked. "Mary Pfaff?" I exclaimed. "The Beatrix Potter of Hawaii?" Dorothy beamed, obviously pleased that we knew about her famous grandmother. Only then, did Marshall allow herself to smile, too. "Sorry, Miss Pfaff, I didn't mean to gush. But I love Alice Mongoose." Also, I was inspired to do some research about Alice Mongoose. I learned that Mary Pfaff is not a fictional creation of Author Frankie Bow, but a real-life author and illustrator. You can read about her here. You can read all about Alice Mongoose here. 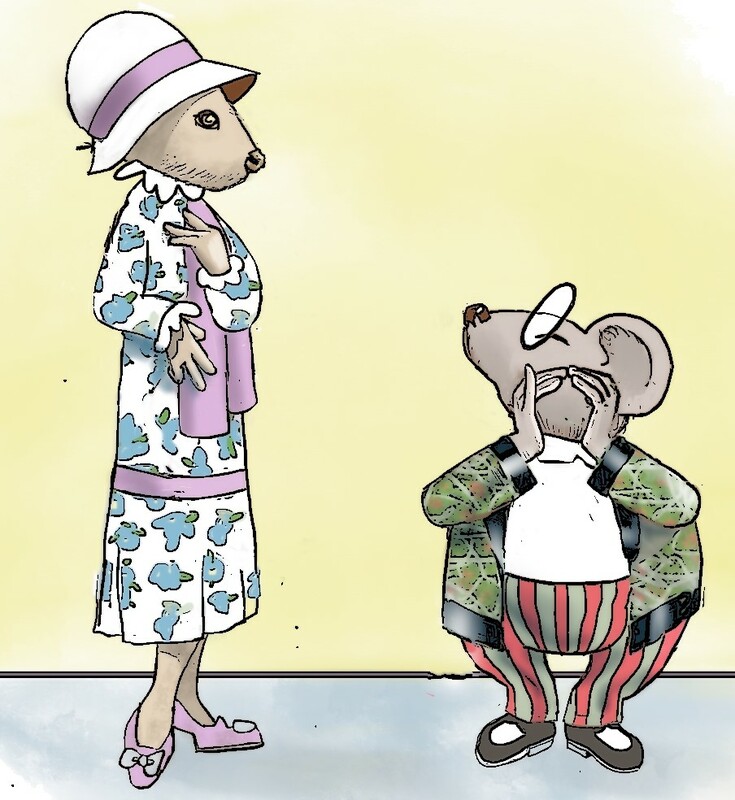 That's Alistair Rat with her, a very debonair sort of chap. "I'm not going anywhere. Did you just call me an invasive species?" As Molly stated above, she loves Alice Mongoose, maybe because she thinks of Alice as a kindred spirit. Alice, too, was an immigrant, who persevered and made a home and life for herself in Hawaii. The ending of The Invasive Species is superb. I know I'll adjust brilliantly. Just like Alice Mongoose did. As Emma has pointed out, invasive species are very adaptable. I recommend The Invasive Species to all cozy fans! I think it will appeal especially to newlyweds, newcomers, new age practitioners, yogins, vegans, Alice Mongoose fans, fans of academic mysteries, and fans of Frankie's other books. I really enjoyed The Invasive Species by Frankie Bow, and grant it Four Kitties! Note: I voluntarily reviewed an Advance Reader Copy of The Invasive Species. Follow the tour, to read other reviews and Guest Posts, plus Author and Character Interviews! Judging a book by its cover: Does your face reveal your personality? What do Machiavellianism, psychopathy, and narcissism look like? Now we know, thanks to Science. Composite photos of individuals high in narcissism were in fact judged as narcissistic. Same with psychopathy and Machiavellianism. "The results indicated that unacquainted observers reliably detected the dark triad composite... not only is the dark triad a set of psycho-social characteristics — it may also be a set of physical — morphological characteristics." I tried these on my students and they were indeed able to tell who was what, especially the female psychopath. "Kayla, would you mind watching the bab — actually, know what? Never mind." What do you think your face says to the world? Me, I just keep smiling and hope no one notices anything bad. to a randomly drawn winner via rafflecopter during the tour.